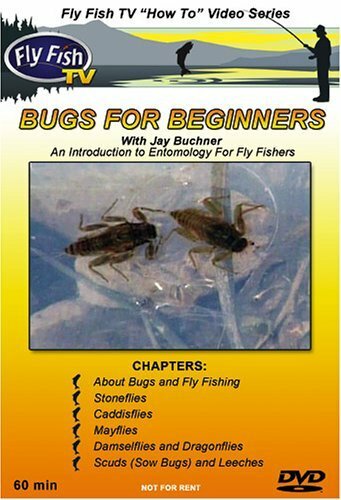 DVD-Bugs for Beginners-Buchner, Jay Buchner, a fly fishing guide, proficient angler, and fly tier, has spent a lifetime studying bugs and know a thing or two about what bugs trout are biting. DVD-Bugs for Beginners-Buchner, Fly anglers are always trying to match their flies with the bugs that trout are eating. It makes sense since the majority of a trout s diet is from bugs. Jay Buchner, a fly fishing guide, proficient angler, and fly tier, has spent a lifetime studying bugs and know a thing or two about what bugs trout into biting. 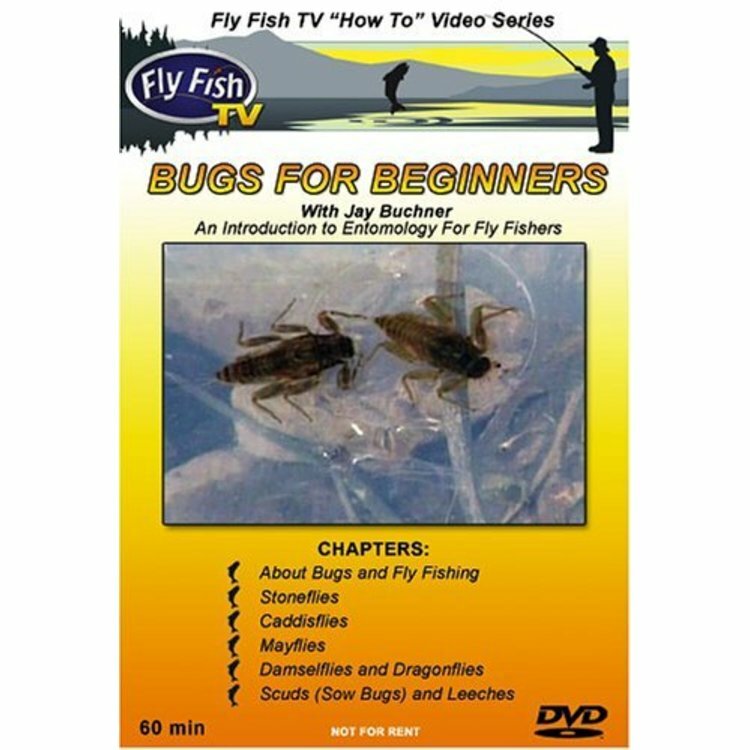 The DVD Bugs for Beginners with Jay Buchner explains basic entomology for the novice fly angler. It covers what the insects look like below the water surface and above in their natural environment. Chapters in the DVD include Open& Stream Sampling, Stoneflies, Caddisflies, Mayflies, Damselflies & Dragonflies, Scuds and Leeches, and Closing Thoughts. Beginning anglers should take special note of how these insects move under water so they can reproduce this movement with flies. Anglers will also learn how to collect sample which will clue them into what color and size fly they should be fishing with. What s bugging fly anglers?